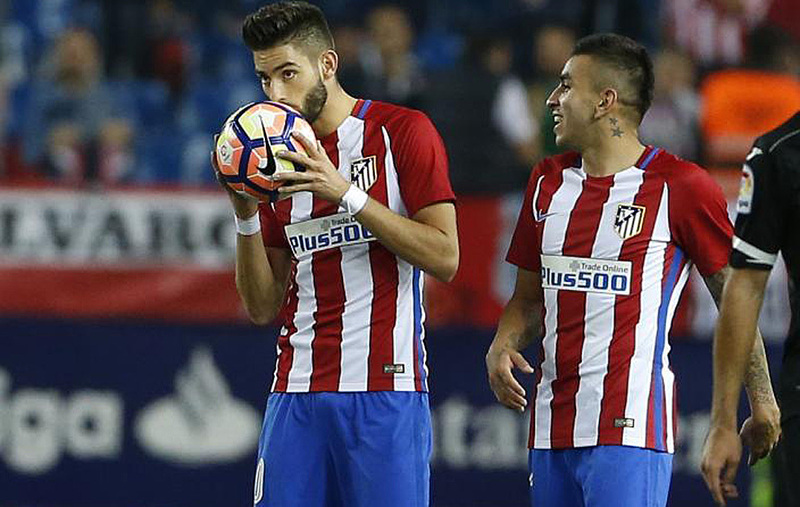 Atletico Madrid suffered an early scare against Granada, this evening, but Yannick Carrasco’s hat-trick and his two assists sent Los Rojiblancos on their way to a 7-1 victory and back to the top of LaLiga. It was a five star performance from the Belgian, who also slotted home the winner against Bayern Munich at the end of last month. “I’m very happy to score a hat-trick for the first time in my career,” he told beIN Sports after the full-time whistle, clutching the match ball. Asked how important it was that Atletico recovered from Isaac Cuenca’s stunning early goal, the Belgian explained that he was pleased with the three points and with the performance. “I’m very pleased to win, tonight,” he told the touchline reporter. Next up for Carrasco and his teammates is Wednesday night’s trip to Russia to take on FC Rostov in the Champions League.